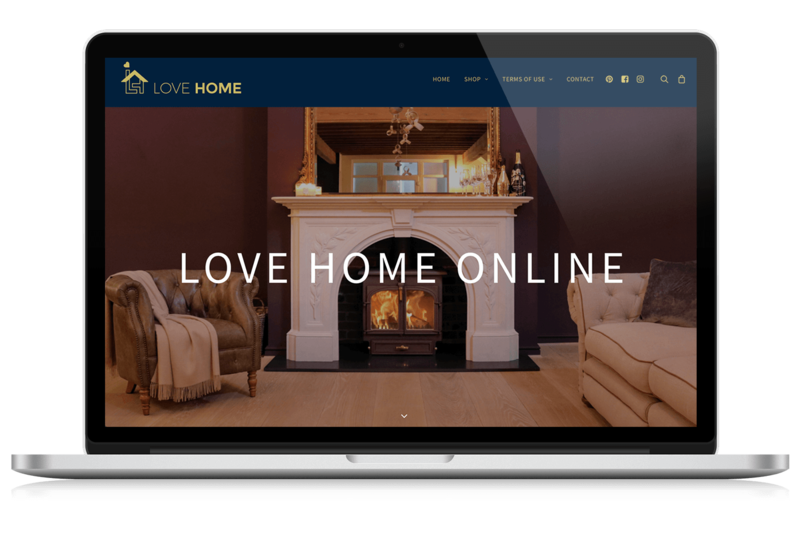 Love Home are a bespoke retailer selling designer homeware, furniture & gifts from their store in Dunmow, Essex. After finding success with their established company ‘We Love Stoves’ they decided to open up the range to include items that would perfectly compliment their stoves. We were invited to help design their branding and overall online presence using a responsive & modern E-Commerce store. The brand expressed their ideal colour palette which we then worked into the new logo. From there we used these design principles to ensure brand unity across all online platforms.